Former FBI Director James Comey, in his first television interview since special counsel Robert Mueller concluded his investigation, said the principal findings of the probe show President Donald Trump's blistering criticism of the FBI were lies and his attempt to destroy the agency had failed, NBC News reports. 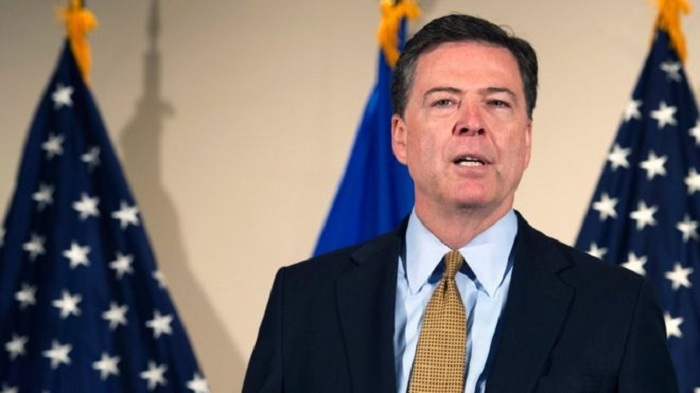 Responding to Holt's question about whether the "damage to the reputation of the justice system, FBI in particular, been worth it," Comey replied that "on balance" it had. "I don't think that we've seen in the history of our country, the president try to burn down an institution of justice because he saw it as a threat," Comey said. "And the lies he told, forget about me, the lies he told about the agents of the FBI, 'storm troopers,' the lies he told about Bob Mueller, were terrible." "But in the long run, the institutions will be fine, because the American people know them and also know this president, know what he's like," Comey added. "I think the people of the United States are going to see what I know about the FBI: These are people who are not in anyone's tribe, they're trying to find the facts." The four-page summary of Mueller’s investigation, released Sunday by Barr, said Mueller found no proof that Trump criminally colluded with Russia. The summary also said Mueller had reached no conclusion about whether the president had obstructed justice, though Barr wrote that he decided there was insufficient evidence to pursue an obstruction charge. Comey said the conclusion about there being no collusion was "good news no matter what party you're associated with." "It'll be important to read the entire report, but, based on what I've seen, this is a good thing," he said. But the former FBI director said he found parts of Barr's letter "confusing" — especially those pertaining to Mueller's position on whether Trump committed obstruction of justice. Mueller was appointed special counsel on May 17, 2017 — eight days after Trump fired Comey as FBI director. Comey had been leading the investigation into Russian meddling and any possible Trump campaign involvement. The president initially said he'd removed Comey at the urging of deputy attorney general Rod Rosenstein and then-Attorney General Jeff Sessions, but he later told Holt it was his decision, and the president cited his frustration with the Russia probe. Comey, asked on Wednesday by Holt what he felt about the sequence of events, replied that he still believed it raised serious questions. "I thought that's potentially obstruction of justice and I hope somebody is going to look at that," Comey said. "Again, the president appears to be saying, I don't know what's in his head — which is why I can't reach the conclusion — what he appears to be saying is, I got rid of this guy to shut down an investigation that threatened me."